Sometimes It’s Worth Hiring For Attitude. Here’s Why. 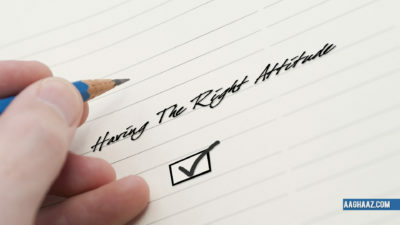 Have you heard the HR mantra ‘hire for attitude, train for skill’? Would you consider hiring someone for their attitude, for the way you could see them fitting into your organisation and the value they can bring to your team outside of their technical role? Would you consider that one individual’s attitude might be the difference between a happy work environment with a long-term employment contract and the opposite? A perfect technical match is hard to find. Increasingly, employers are finding it a challenge to hire someone with a 100% technical skills match for what is listed on the job description. Most often, candidates will have a close match to what your organisation needs but not a perfect one. This should be motivation enough to look beyond the facts listed on paper at the individual behind them and ask if they’re the right match for your company culture. Not only could this save you the headache of the ‘wrong’ hire, it could open up your employee search to a much wider pool of candidates with varied skills. Business is changing. The nature of business is changing and, with a work/life balance approach to employees firmly at play, more emphasis is being placed on company culture and employee ‘fit’ than ever before. On creating a ‘family’ of individuals at work who get along socially as well as professionally. That’s why you often find vacancies being advertised with a combination of technical and ‘soft skill’ requirements. If an employee’s attitude doesn’t match their new team’s approach to work, there is sure to be trouble ahead. Skills sets are changing. In our technologically driven age and across most businesses, skills are evolving all the time. This means that skills that are currently the requirement for a job could easily change as time goes by. This will in turn require you to make an investment in your employee at some future stage – to upskill them and thereby allow them to do their job more productively. What most people know can change but who they are rarely does. Wouldn’t you rather invest in someone who has the right attitude to their work, someone with positive energy and a can-do approach to the job than someone who looks right now but doesn’t have much else going for them besides the relevant qualification? Attitude counts in the long run. Research shows that, across a wide range of industries, individuals with the correct skills but bad attitudes tend to fail while inexperienced individuals with good attitudes, who receive on the job training, tend to succeed in the long-run. With the right attitude, a new employee is more likely to get the job done and stay longer. This is better for your organisation’s turnover and long-term goals, as well as for your customers. Depending on your industry, when evaluating a potential employee, you might find it tempting to bring on board someone with the correct technical skills so that they can immediately get to work without much impact on your time or your team’s progress.